Ritika Baijal grew up admiring her mom and aunts wearing garments with intricate Chikankari work, a 400 year plus art of traditional Lucknowi embroidery. Being from a business family, after a brief stint in corporate culture, an idea germinated and shaped "Lucknawi Threads" that aims on making this highly skilled art form easily accessible to admirers across India. 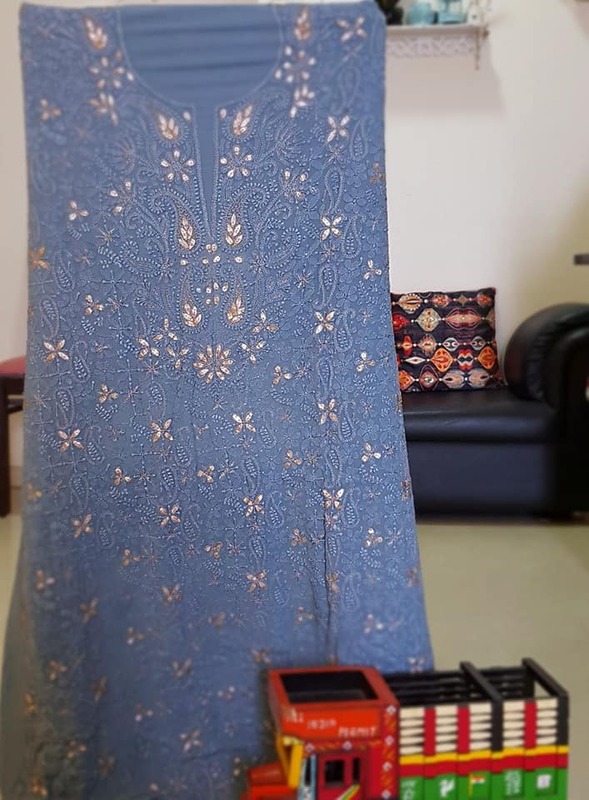 The unique sensibility of Chikan work lends grace and elegance to its wearer and Ritika personally ideates to create bespoke pieces along with master craftsmen from the alleys of Lucknow. 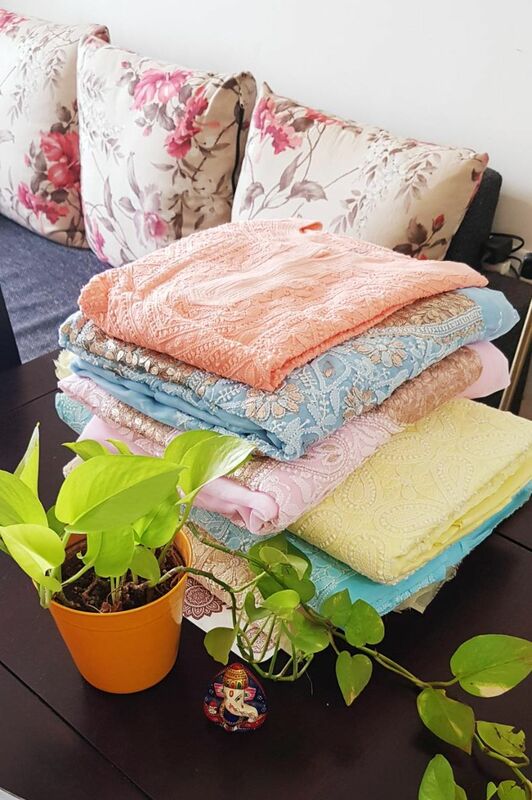 With Lucknawi Threads, the busy women of today can own their favorite pieces from a curated collection for a variety of occasions- everyday wear, office wear, weddings, cocktail parties and more. The word "Chikan" literally translates to "embroidery" and this art form incorporates approximately 36 different stitching techniques, which traditionally was done on muslin cloth-white thread on white fabric. With changing times, Chikankari was combined with embellishments of gotapatti, mirror and mukaish work. Donned by Hollywood celebrities like Judi Dench and Bollywood fashionistas like Sonam Kapoor, Aishwarya Rai, Deepika Padukone and more, Chikankari is making waves on the global fashion arena. Believed to have introduced by Mughal Emperor Jahangir’s consort, Noor Jahan, the exact origins remain a mystery till date. The needlework demands high skill and there are artisans who have trained for over 20 years in this art. 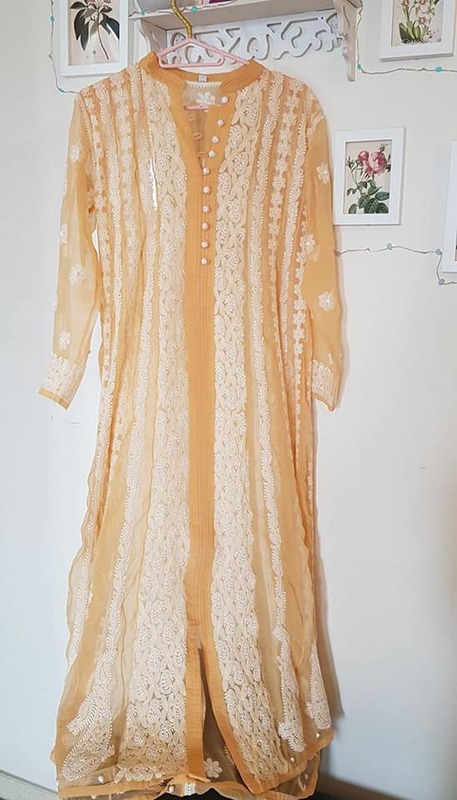 The portfolio has a wide range to suit varied tastes of today's fashion conscious denizens and Ritika's personal favorites include Lucknawi work on Kota Doria material and Parsi embroidery on Lucknow chikankari. 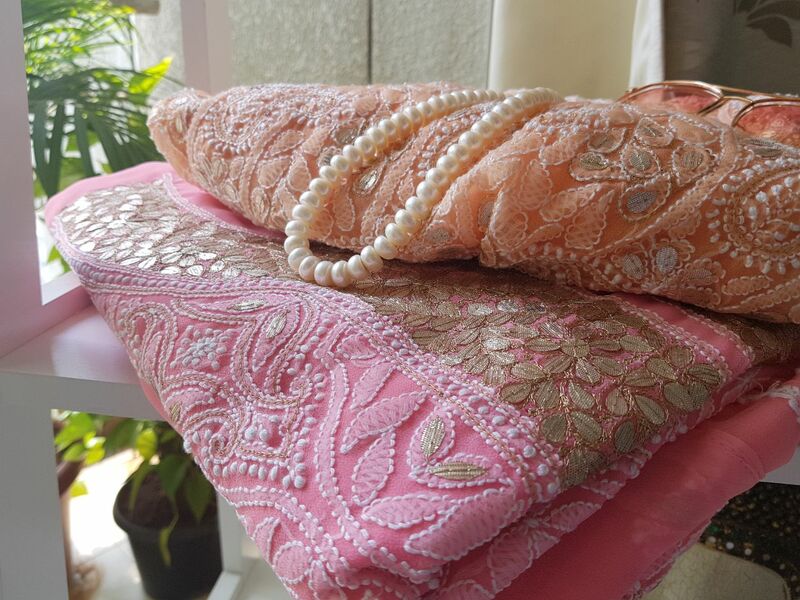 The Kota Doriya collection made with the traditional textile of Kota district of Rajasthan encompasses elegance and grace with its lightweight texture and is available in pastel shades like powder pinks, mellow yellows, soothing lavender. Available in unstitched material with mukaish and gotapatti work, Kota Doria collection is perfect for any occasion. Parsi embroidery, a delicate and exquisite art is inspired by nature and is usually formed by motifs that relays an intrinsic message. A beautiful technique that interweaves bright and pastel shades, Parsi embroidery intermingles with superior craftsmanship of Lucknawi work in this collection. Rozana- offers the elegance of pure Georgette material with intricate Chikan work in stitched kurtis & short kurtis, unstitched dress materials and suit length. Perfect for everyday wear or while stepping out for shopping/brunch with friends. Kashish- Gorgeous and opulent, Georgette anarkali suits with Chikan work pair well with a fitted bottom. Available in soothing white and many other colors, this collection is great for occasions like weddings, cocktail parties, dinner engagements and more. Sanj- A delicate melange of Chikan and Hakoba work, this collection is mostly available in pastel shades. Guldasta- A collection of Lucknow's specialty technique- Jali work uses minute buttonhole stitches with a wide blunt needle to make a Jali or net where the thread in never drawn through the fabric, making it impossible to distinguish the front from its back side. Awadhi Collection- Bespoke, stitched white on white collection that celebrates the origin of traditional Lucknawi work that will make you say- White is right in any season. Chandani- Georgette pieces available in stitched and unstitched options with elegant mukaish work- absolutely stunning! Noor- Celebrate the unique embroidery technique from Rajasthan- gotapatti on Lucknowi material available as kurti material or a matching set of kurti and dupatta with Noor collection. According to Ritika, though Chikankari was used primarily for garments for women, men and children, this embroidery work India has now spread to home decor items like cushion covers, pillow covers, table linen and more. Lucknawi Threads looks forward to participating in various curated exhibitions in Mumbai and to know more do follow them on Instagram and Facebook. 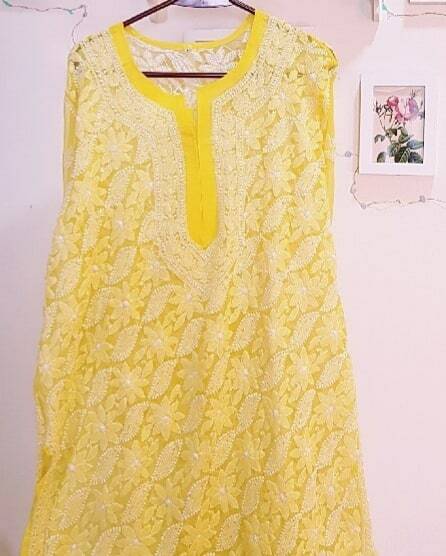 One can also approach Lucknawi Threads on their email id- lucknawithreads@gmail.com or call Ritika on 91 9167836518. Patrons can also opt for shipping option. 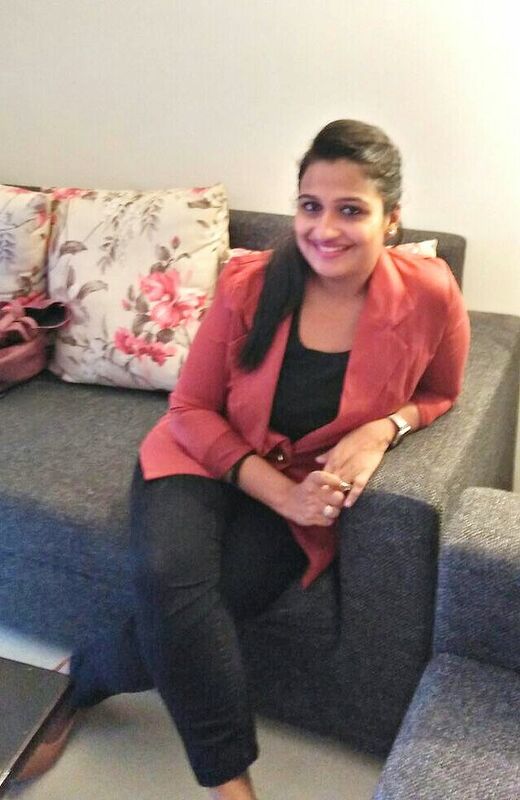 Ritika loves meeting people and understanding their tastes, which helps in choosing the perfect Lucknawi piece for your wardrobe. With Lucknawi Threads, she invites patrons to celebrate Lucknow's vintage needlework art to embellish their daily lives and homes! Malini Nair, Editorial Lead Gaana says, "I have always been a fan of chikan work and I truly believe it's for every season. I met with my love, Lucknawi Threads a couple of months back and my wardrobe looks so colorful and classy now. Very tasteful color combinations, perfect cuts and intricate work makes it outstanding. It does not burn a hole in my pocket and Ritika,is always ready to oblige her customers. Goodluck to you and hope to see you becoming a huge store soon." Says, Shivani Dwivedi, Assistant General Manager, CNBC- TV 18 "You will be spoilt for choice with the wide range of Lucknowi suits and dress material available at an affordable price in pleasing colors apt for any occasion. 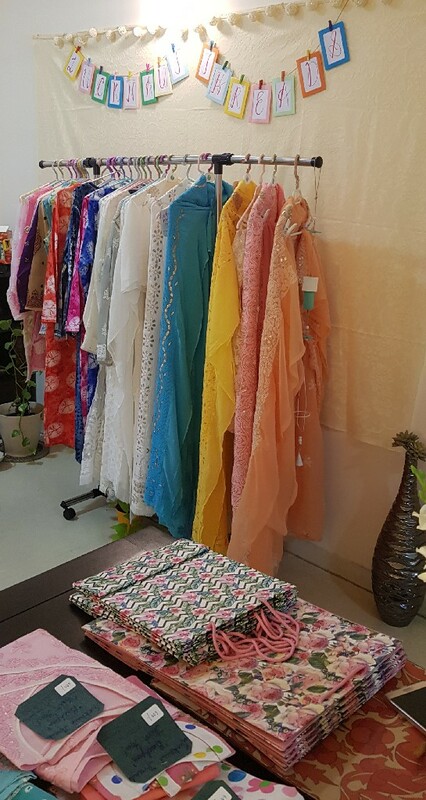 Loved the short kurti, georgette kurta and everyday cotton wear I shopped from here."